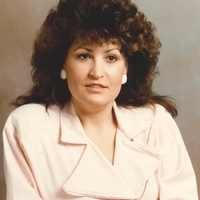 Wilma F. Foy, 69 died Wednesday, August 29, 2018 at the Life Care Center of Rhea County. In 1991, Wilma moved from Ohio to the Spring City community. She was the daughter of Joseph Leonard Smith and Emma Burnett Smith Price. She was a homemaker who loved to shop and liked her plants and flowers. Wilma enjoyed being a grandmother. She attended the Spring City Foursquare Church. Wilma was preceded in death by her husband Leonard Roosevelt Foy, her father Leonard Joseph Smith and her great granddaughter Aryan Ferrell. She is survived by her mother Emma Price of Spring City, stepfather Jesse Price of Spring City, daughter Carla Ferrell of Chattanooga, son Dana (Miranda) Thornsbury of Hixson, brothers Wendell Smith and Ernest Price both of Spring City, sister Brenda Harris of Spring City, four grandchildren and two great grandchildren. Funeral services are Sunday, September 2, 2018 at 3:00 pm in the chapel of Vaughn Funeral Home with Rev. David Daniels officiating. The family will receive friends Sunday from 1:00 pm to 3:00 pm at Vaughn Funeral Home. Vaughn Funeral Home, Spring City, Tennessee, is in charge of arrangements. Please share your condolences and memories of Wilma on our website www.vaughn-funeral-home.com.